Our cold Kansas winters, hot summers, wet springs and crisp, cool autumns, along with the snow, rain, and sunshine that come with them, allow us to truly experience the year’s four seasons for which they’re traditionally known. Kansas weather, however, is typically harsh on pavement. 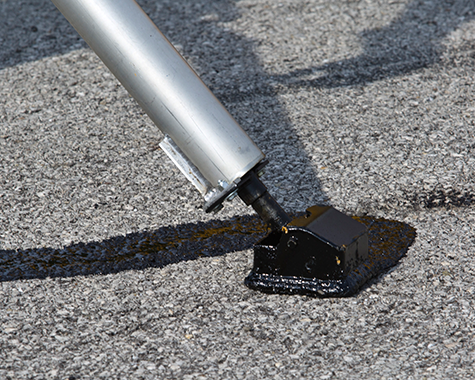 Sunshine oxidizes pavement, wearing the binding agents that keep it in solid form. 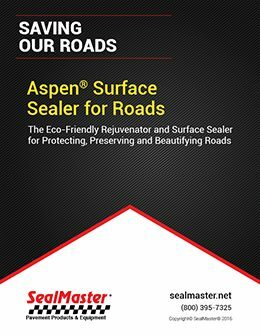 Rain and snow, too wear on the surface of the pavement. Winter’s freeze-thaw cycles cause movement and cracking. 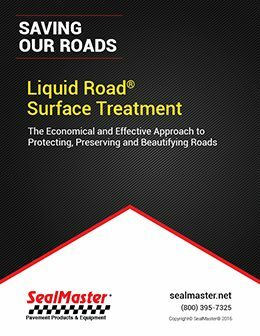 And if water seeps through cracks in the distressed pavement, reaching its substrate, the ground will heave, which is ultimately what creates potholes. 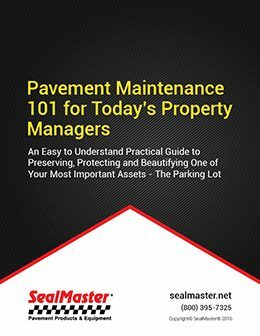 Thankfully, maintaining a routine schedule for pavement maintenance can extend the life of pavement by decades. 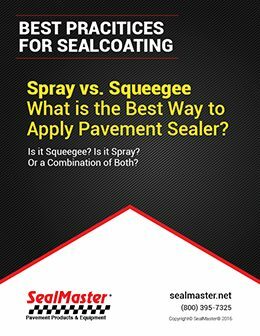 Simply sealing cracks and sealcoating pavement on a routine basis will make all the difference in how long your pavement will last and look good. 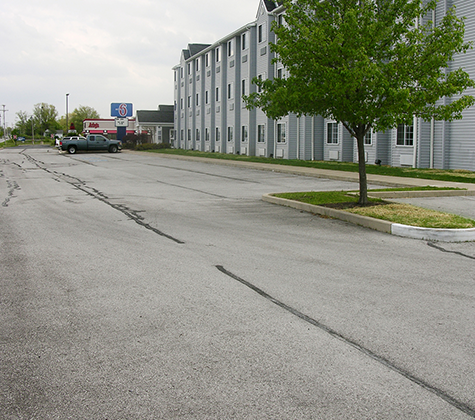 Pavement is among property owners’ most valuable assets and a new paving is a costly prospect. That’s why, if we take care of what we have, it will serve us well in the long run. 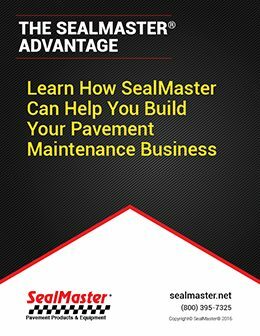 Ideally, pavement should be sealed within six to 12 months of installation because the sometimes slow, but always steady, process of degradation begins as soon as it’s installed. 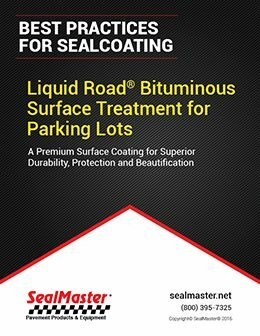 SealMaster manufactures a number of different types of pavement sealer to meet the demands of different climates, types of use, age and other factors that impact degradation. 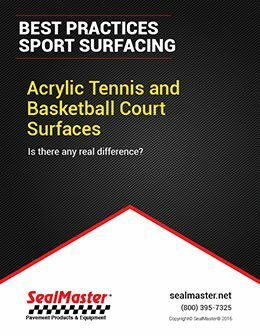 All of them are engineered for durable, long-lasting performance. The same goes for crack sealants—no one size fits all. 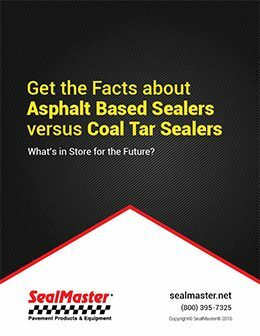 We or a member of our vast network of sealcoating contractors can help you choose the crack filler and pavement sealer formulas best suited for the job. 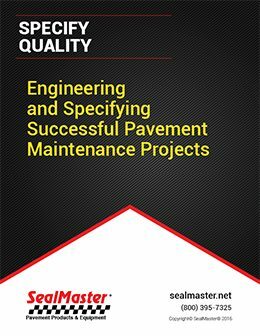 We can also recommend what a routine pavement maintenance schedule would look like for the pavement being treated. 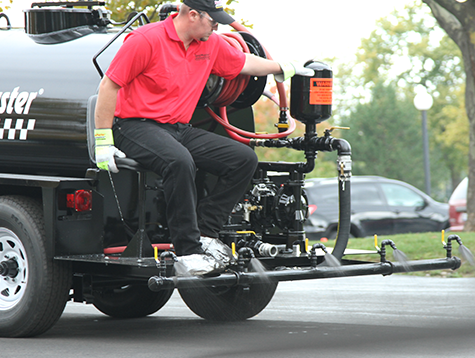 When you receive a free pavement inspection, you’ll also receive an explanation of how we can help you keep your driveway, parking lot, streets in residential and commercial developments, bicycle paths, sport courts and more in tip-top shape. 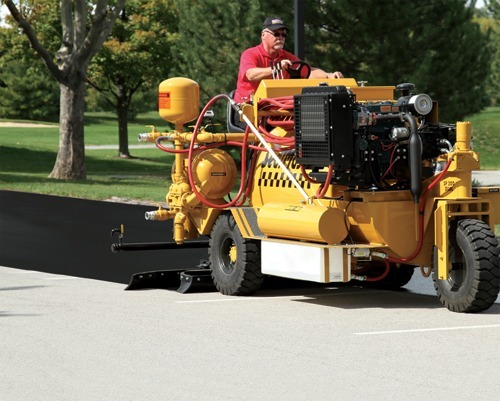 Preservation efforts cost six to 10 times less than milling and filling, replacement and other measures more drastic than routine maintenance. 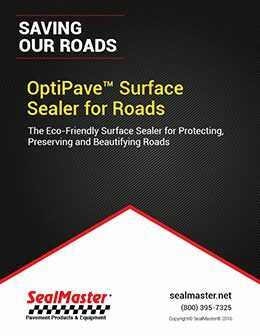 Pavement is very sustainable of it is kept in good condition. 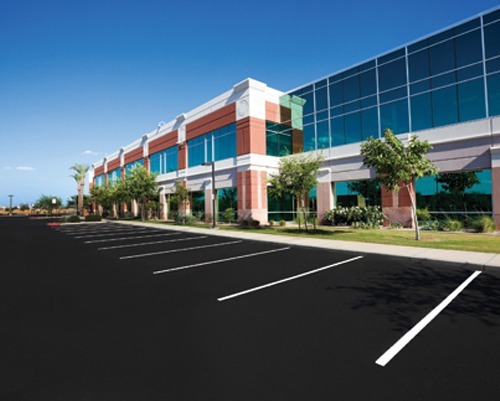 It also dramatically impacts curb appeal, property values, and when it comes to commercial interests, sales. 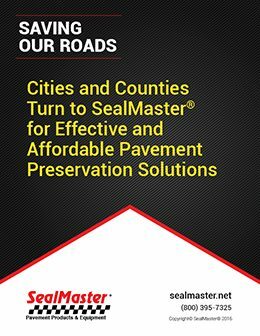 If you like to do business locally, we can help you find a contractor whether you’re in Overland Park, Kansas City, Olathe, Shawnee, Lenexa, Leavenworth, Leawood, Prairie Village, Gardner, Ottawa, Lancaster or Miriam, and in Missouri, Independence, Lee’s Summit, Blue Springs, Liberty, Raytown, Gladstone, Grandview, Belton, Raymore, Grain Valley or Excelsior Springs; or any place in between. For all other cities in Missouri, click here.